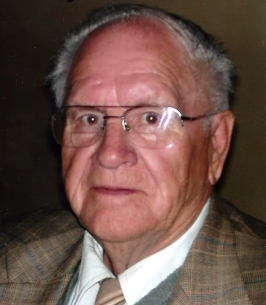 Chester Lee Stewart, husband of the late Margaret (Mullin) Stewart, passed away on Friday, May 26th at Dufferin Oaks, Shelburne, Ontario at the age of 94. Born in Lyttleton, New Brunswick, Chester was the son of the late Frank and Minnie (Somers) Stewart. Chester worked at National Grocers in Islington, Ontario as a fork lift operator for 35 years and received an award for being accident free. He spent many years as the union steward at National Grocers. Chester belonged to the Moose Lodge where he went dancing every Friday and Saturday night. He even worked on his own car outside, winter or summer, until he was 91. Chester is survived by one son: Beverley Donald Stewart (Irene); five grandchildren: Trevor, Kevin, Brent, Robert and Brenda and 10 great-grandchildren: Katie, Zachery, Michael, Alex, Ayden, Angelo, William, Patricia, Deanna and Katrina. Besides his wife and parents, Chester is predeceased by six brothers: Edward, Norman, William, Carl, Allen and Clinton; two sisters: Rena and Annie and one son: David. Visitation will be held at Meadows Funeral Home, 150 Northwest Road, Sunny Corner, on Thursday, June 1st from 7-9 p.m. Funeral service will be held on Friday, June 2nd at 1:00 p.m. at Meadows Funeral Home Chapel, 150 Northwest Road, Sunny Corner, NB with Rev. Raymond Pitcher officiating. Burial will take place in St. Stephen’s Presbyterian Cemetery, Boom Road, NB. As expressions of sympathy, in Chester’s memory, donations may be made to a memorial of one’s choice.